The Players’ Tribune has acquired media and tech company Unscriptd to grow its mobile app technology and community of athletes. It is the first media acquisition by The Players’ Tribune (TPT), the site founded by MLB player Derek Jeter featuring editorial from athletes. The acquisition gives TPT new tools and services, as well as an expanded community to increase athlete-driven content. That includes proprietary mobile technology from Unscriptd, which is behind a new mobile app from TPT called Players’ Post. It is created exclusively for TPT’s community of athletes and serves as a publishing platform. Athletes can use the app to create, edit and publish short-form video. It also streamlines the process of distributing content directly to social media, helping athletes build engagement with fans. 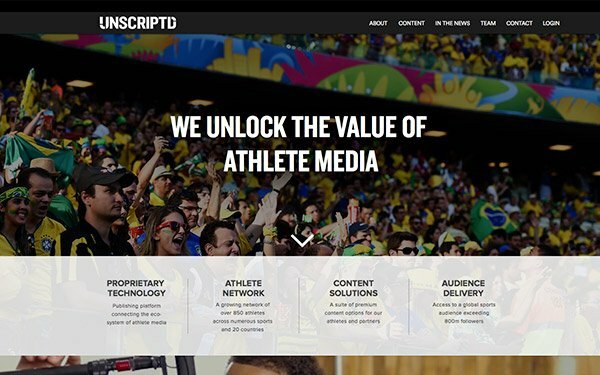 The acquisition of Unscriptd also means TPT now has access to its community of over 2,500 athletes in Europe, Australia and Asia. That nearly doubles TPT’s global community, who can contribute content to the platform. New sports will also be integrated to TPT as a result of the acquisition, including global football, Australian rules football, Formula One, surfing, tennis, cricket, track and field, and rugby. According to Forbes, TPT has raised nearly $60 million in funding. Most of TPT's revenue comes from branded content. The platform has partnered with Toyota, Hyundai and Sharpie on video, product and content deals.